Recently Change the Equation published a three-page “Vital Signs” report entitled Lost Opportunity. The report describes the powerful role that after school programming can play to interest students in STEM. In words and graphs the report reveals the sad truth that only 19% of students participate in these highly engaging STEM activities. Cary Sneider, Professor in Oregon and formerly with the Museum of Science in Boston, challenges us to help students engage more with STEM during their non-school hours. How can we make better connections to our non-formal science community and support students to aspire to and achieve their STEM goals and at the same time help them to graduate college and career ready? At the Maine Science Teachers Association (MSTA) annual conference Rhonda Tate of Dedham School and I got to share Vital Signs with a group of interested teachers from around the state. One of the big topics at MSTA this year was the Framework for K-12 Science Education and the development of the Next Generation Science Standards (NGSS). I was excited to show these teachers some of connections between Vital Signs and the science practices outlined in the Framework. Here’s some of what I shared. Students collecting data along coast. research findings from National Research Council on best practices in science teaching. 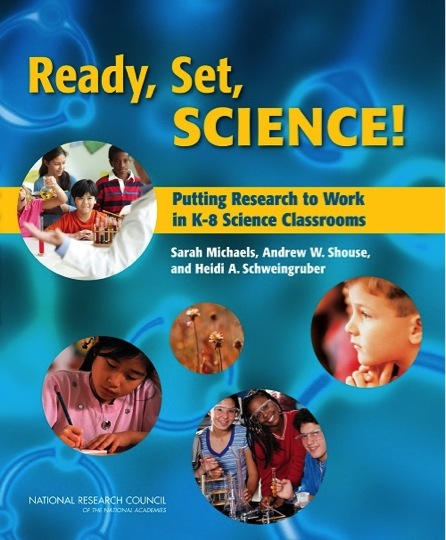 This work also underlies the development of the Framework for K-12 Science Education and the NGSS. While educators organize their students’ Vital Signs experiences in different ways and around different topics in the content area (this flexibility is one of the strengths of Vital Signs) their participation is strongly tied to the science practices in the Framework. The first science practice in the Framework is, “Asking questions.” By using Field Missions as the research questions that guide their investigations, students are seeing that science starts with a question that we can answer with evidence. Investigations can focus on research questions that highlight content core ideas around biodiversity, ecosystems, evolution, and more. Planning and carrying out investigations is another of the science practices in the Framework. Students plan and carry out investigations with more or less scaffolding depending on the Field Mission selected or the development of their own school or class field mission. The selected Field Mission is a great way for teacher and student participation to evolve over time. Check out the Massabesic Field Mission for an example of this kind of evolution. When students support their found or not found claim with photo and written evidence they are exercising the scientific practice of engaging in argument from evidence. 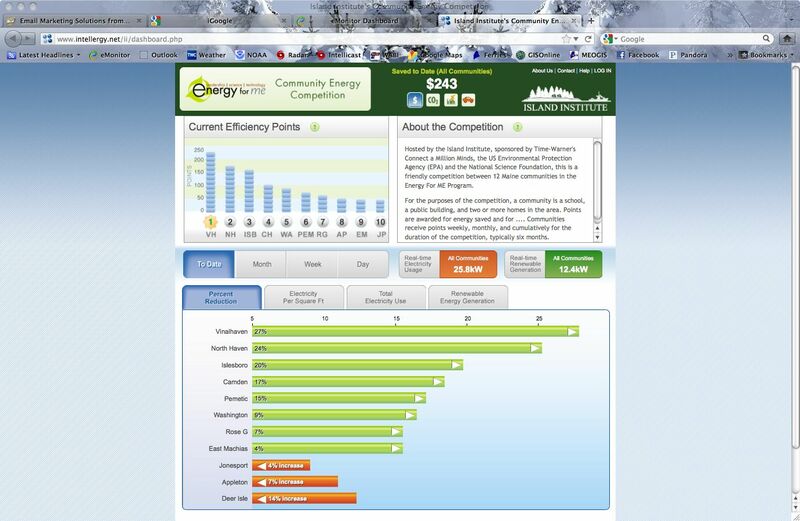 They also have opportunities to support their arguments with evidence through the data analysis. The Framework calls out analysis and interpretation of data. There are examples of analyses that students can do as part of their Vital Signs investigations on the Mission: Analysis page. These Analysis Missions invite the use of models, as well as mathematical and computational thinking which are also practices called out in the Framework. “I’m actually looking forward to the standards change – kids learning real science by doing real science and having a stake in what they learn. I feel lucky to have Vital Signs as a resource to count on. For once in my career, I feel ahead of the game” Pat Parent, Massabesic Middle School teachers like Pat who are already using VS are happy to discover that the learning in their classroom is aligned with the Framework for the Next Generation Science Standards and they’re excited to bring their colleagues on board. Remember you can become a follower of the Vital Signs Blog. This week Annette deCharon and Phoebe Jekielek of the University of Maine School of Marine Sciences share information about the Center for Ocean Sciences Education Excellence- Ocean Systems (COSEE-OS). COSEE-OS has wonderful resources that support the vision of Framework. The ocean shapes our earth, impacts our climate, provides habitat, and houses a countless number of natural resources that we use and rely on every day. The new Framework for K-12 Science Education and Next Generation Science Standards specifically highlight these roles and “opens the door” to incorporate Earth systems and ocean topics into classroom practice.. Specifically, the standards highlight the role of the ocean in regulating the global water cycle and climate. So you ask, how can I make room for the earth systems and oceans in my curriculum? Ocean sciences are inherently interdisciplinary in nature, allowing for their use in illustrating all three dimensions laid out in the new Framework: (1) scientific and engineering practices; (2) crosscutting concepts; and (3) core ideas in physical, life, earth and space sciences and the engineering, technology and applications of those sciences. The Framework emphasizes two key ideas 1) the importance of focusing on interacting systems throughout K-12 science education; and 2) the need for students to gain a better understanding of the practice, process and content of science and engineering throughout K-12. The interdisciplinary nature of the Earth systems and the ocean illustrates and integrates concepts found in biology, chemistry, physics, geology, mathematics, technology, engineering, and provides connections with the scientific process. The Center for Ocean Sciences Education Excellence- Ocean Systems (COSEE-OS) is an important resource. Since 2005, we’ve worked closely with scientists and teachers to create and deliver innovative classroom resources that incorporate ocean concepts. 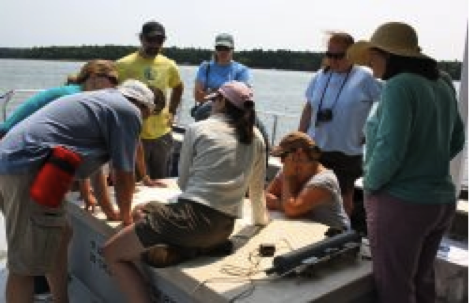 Resources include educational concept-mapping software, data sets for classroom manipulation, lab activities and a variety of content-driven webinars from ocean scientists across the country, all freely accessible to the public and found on our website (http://cosee.umaine.edu/). 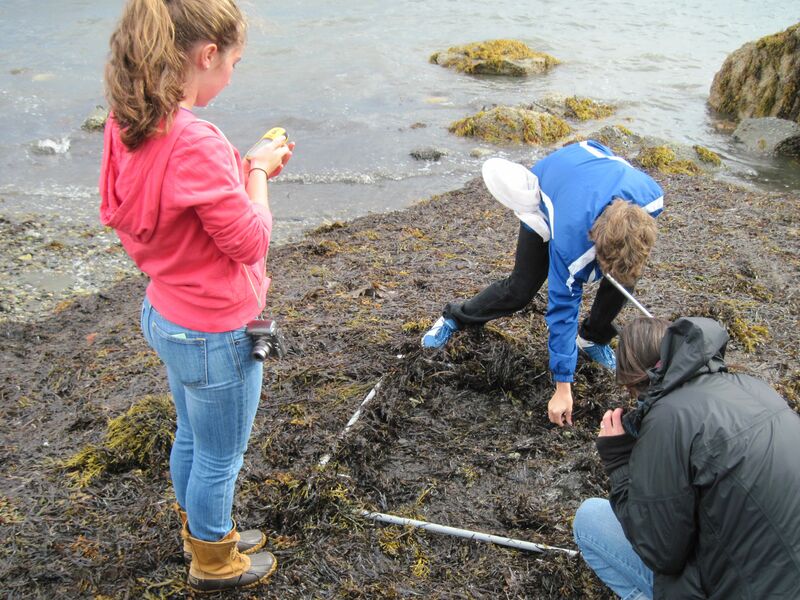 COSEE-OS has also worked with the Mount Desert Biological Laboratory (MDIBL) and Bigelow Laboratory for Ocean Sciences (BLOS) to provide financial support for Maine students and teachers to attend weeklong field experience and professional development opportunities with research scientists. 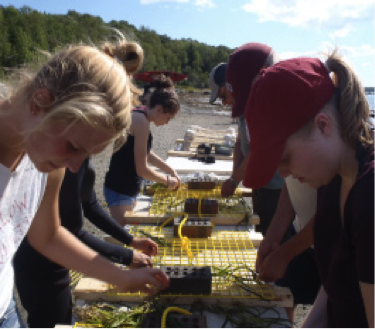 Students helping to restore eelgrass beds in Frenchman Bay with a weeklong field experience at MDIBL. Teachers collecting data in a weeklong professional development opportunity with BLOS scientists. 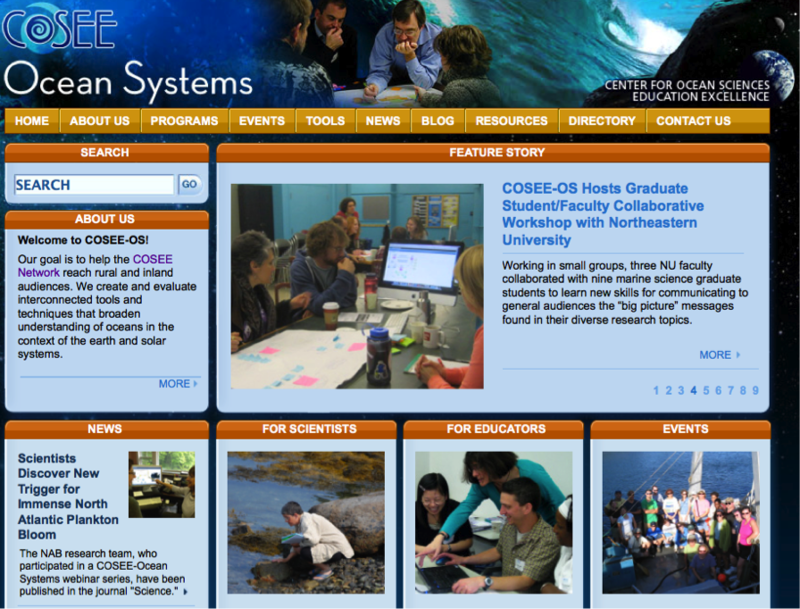 Screen grab from the COSEE-Ocean Systems homepage. COSEE-OS has developed a free and accessible suite of concept-mapping software, which is available for teacher use (http://cosee.umaine.edu/climb/index.cfm). Concept maps can allow teachers and students to deconstruct complex ideas or processes into stories tailored to a specific audience. Concept maps can also be loaded with content in the form of images, videos, illustrations, news articles, and scientific literature. This software has been used in high school classrooms to show relationships and make connections between concepts taught by teachers. COSEE-OS has sponsored two webinars given by local Maine teachers on how to use concept maps in the classroom (Sue Klemmer) and how to incorporate ocean sciences and inquiry-based education into classrooms (Ted Taylor). Scientists also use COSEE-OS concept-mapping software to explain their research. 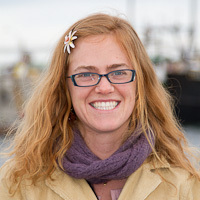 For example, COSEE-OS teamed up with MDIBL to bring the research of Dr. Hilary Neckles, U.S. Geological Survey (Augusta), to educators and the general public in a one-hour webinar, complete with an interactive concept map highlighting the ecology of eelgrass, its range and services, threats to its existence and efforts to preserve it. Many other scientists have been featured in our Research-based Online Learning Experiences (ROLE) Model webinar series (http://cosee.umaine.edu/programs/webinars/), providing a wide range in disciplines from physical and chemical oceanographers to ecologists and biologists. The science comes alive when the presenters address the reasoning and importance behind the questions they ask, the process of research and technology development, the analysis of data, and the application of their science to society. These interactive webinars – and the online archives – are great tools for providing insight into how researchers view the scientific process, navigate through the challenges the process presents, engineer cohesive projects, and place their often narrowly-focused discipline into a broader context. Example of a public concept map and asset examples from Dr. Hilary Neckles’ webinar titled Essential Eelgrass: Ecology of a Vital Resource in Maine’s Coastal Waters. Get access to this and more than 100 other scientist-created maps at http://cosee.umaine.edu/climb/index.cfm?FuseAction=ListMaps&MapType=Public. 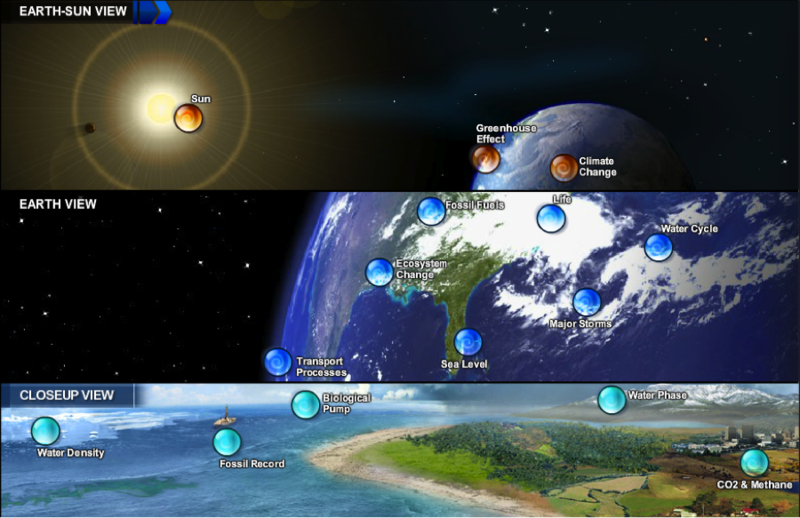 The Framework for K-12 Science Education highlights the ocean’s crucial role in Earth systems, and COSEE-OS has lots of tools to support the vision and make these ideas accessible to you and your students! Welcome back! 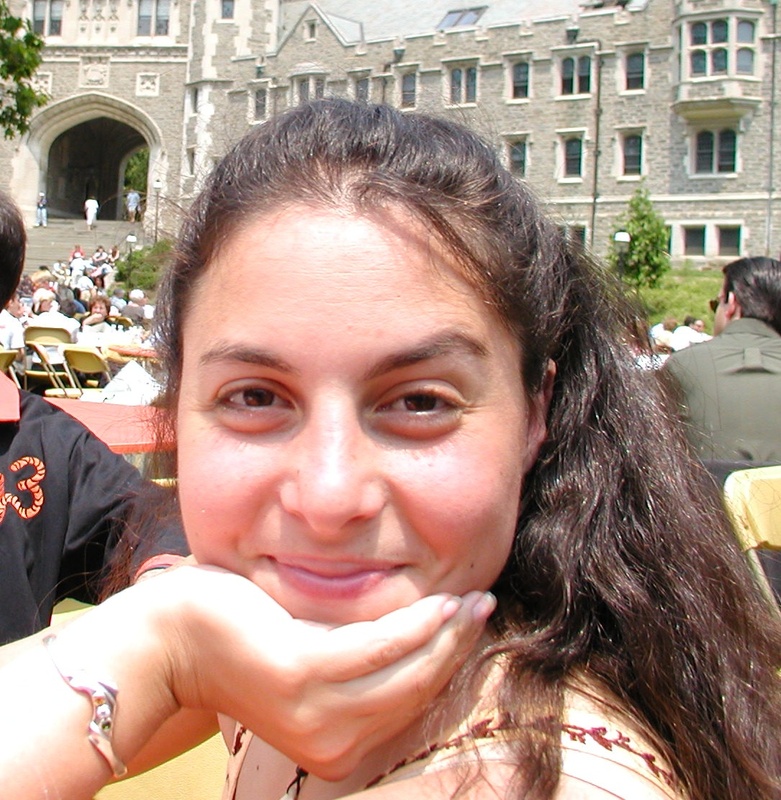 I am starting this school year by hosting two guest blogs. Like the posting last week from Christine Anderson-Moreshouse these entries will, I hope, provide you with new tools and ideas for the school year. I know that electronic tools are basic features of teaching and learning in many Maine classrooms. As schools implement the vision described in a Framework for K-12 Science Education, educators will be looking for high quality resources and effective strategies for integrating probes, laptops, ebooks, apps…to achieve this vision. ScienceWorks for ME at the Foundation for Blood Research has been providing outreach science education and teacher professional development in Maine for over 25 years. Two ScienceWorks tools, Maine Explorer and EvidenceWorks, support the scientific practices outlined in A Framework for K-12 Science Education: Practices, Crosscutting Concepts and Core Ideas and incorporate the use of electronic tools and modeling. The EcoScienceWorks project features software simulations of multiple Maine ecosystems called Maine Explorer. 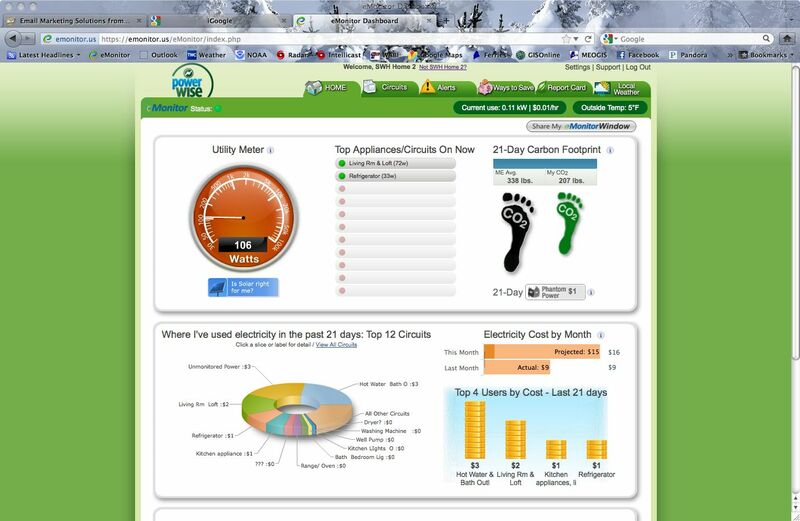 This software, developed for middle school use, has been on all MLTI laptops since 2008. Using Maine Explorer, students manipulate computer models to better understand systems – crosscutting concepts in the Framework. Teachers can find out more about the software and associated unit and lesson plans through the Maine DOE iTunesU site where EcoScienceWorks is a content partner. In this entry, Dr. Walt Allan and Jeri Erickson share information about EvidenceWorks, a new tool that ScienceWorks has developed. EvidenceWorks features Moodle based lessons and an ebook for iPad that include embedded films and a web app.The project developed two curriculum units that scaffold the use of science practices by teaching the evidence-based medicine (EBM) process used by doctors to answer questions about therapies and diagnostic tests. This curriculum for advanced high school biology students can be accessed through evidenceworksremote.com at no cost. The EvidenceWorks EBM curriculum content extends beyond the Framework’s core ideas yet reflects the philosophy of integrating rigorous content with practices and crosscutting concepts that build on the core ideas. It specifically scaffolds these 6 Scientific and Engineering Practices: asking questions, analyzing and interpreting data, using mathematics, constructing explanations, engaging in argument from evidence, and obtaining, evaluating, and communicating information. In addition, the EvidenceWorks curriculum provides a model for how technology can be used to enhance student learning by integrating resources that are flexible and adaptable. The curriculum consists of two independent units – Using Evidence-Based Medicine to Answer a Question of Therapy and Using Evidence-Based Medicine to Answer a Question About a Diagnostic Test. Medicine is an area that engages students but to which they have very limited exposure beyond their personal experience and the overly dramatic portrayal in the media. Students with an interest in medicine may take an anatomy/physiology course, but there are few situations in which high school students can engage in authentic investigative science in the medical field. In EvidenceWorks, students join the medical team via video and are guided through a medical case and the EBM process. The final portion of each unit is an assessment in which students are provided a new case and challenged to reason through the EBM process on their own to reach a clinical conclusion. The following YouTube video provides a quick view of the medical team and the setting for learning about EBM in Unit 1: A Question about a Therapy. The units were developed by a collaboration of medical experts, experienced curriculum developers, and high school biology teachers. 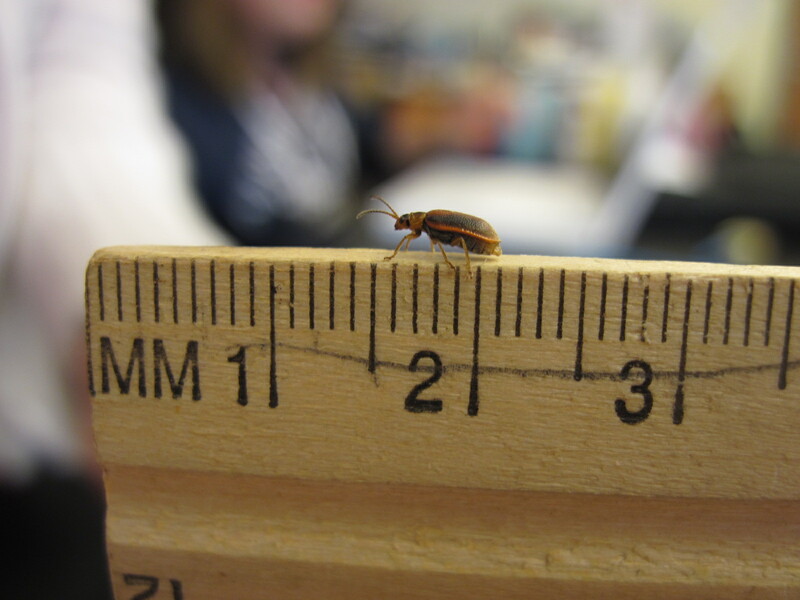 Each unit has been thoroughly field-tested in advanced high school biology classrooms with more than 1800 students. Students work along with the medical team using the scaffolded approach to teaching EBM to medical students called the 5 A’s: Ask, Acquire, Appraise, Apply, Assess. Three of our field-test teachers share their experiences using the EvidenceWorks curriculum and suggest best practices for implementation in the classroom in the YouTube video below. During the field-test, students made positive comments that suggest they had a new appreciation of how doctors apply scientific practices in making clinical decisions. The curriculum units take 2-6 hours of student time and are available at no cost as online Moodle courses or ebooks for iPad. The Moodle and ebook are self-instructional and the medical experts explain difficult concepts using video. Field-test teachers noted that by simply working through the course as their students would, they were able to learn the unfamiliar EBM process without face to face professional development. Field-test teachers produced a Teacher’s Manual for blending the digital curricula into the classroom. It can be accessed from evidenceworksremote.com and the Maine DOE iTunes U site where EvidenceWorks is a content partner. A quick overview of the web app tool that allows students to produce a critically appraised topic (CAT) about the medical paper they analyze as part of the curriculum can be found through this link – fastCAT! The app includes instructional videos that provide a look at how the EBM process works (Note – the app works best using Safari, Firefox or Chrome). Furthers questions about ScienceWorks curricula from the Foundation for Blood Research can be directed to Jeri Erickson (ericks@fbr.org). This week I am pleased to share the following guest post from Ryder Scott, Program Director at Bryant Pond 4-H Camp and Learning Center. 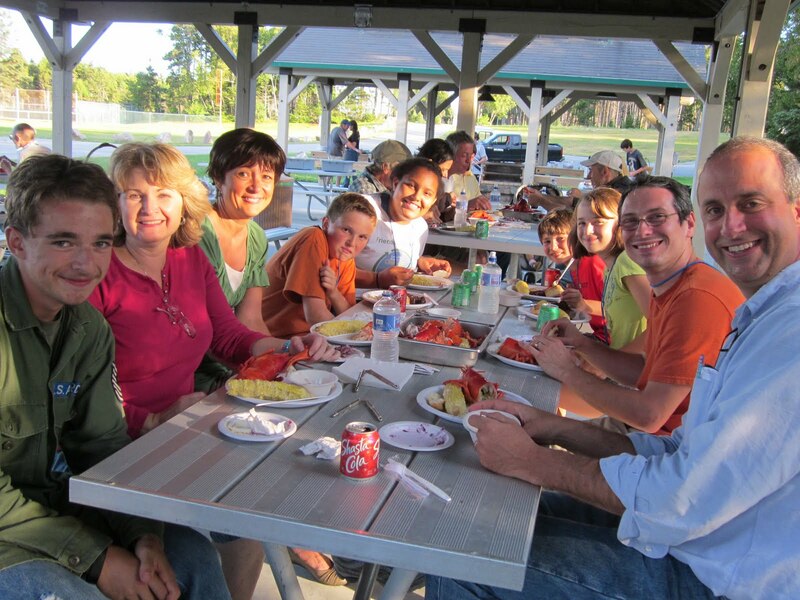 Ryder Scott is Program Director at the University of Maine 4-H Center at Bryant Pond. Ryder has been teaching and leading groups of young people and adults in the outdoors for fifteen years.
. . . “If you’ve been paying attention at all to education in the past year, you’ve noticed we are in the midst of a “STEM Renaissance.” Having been an educator in non-formal outdoor and environmental education programs for nearly twenty years, I have participated with keen interest in the unveiling and promotion of the Framework for K-12 Science Education. With Maine’s unique status as a lead state piloting of the Next Generation Science Standards, combined with the 2010 adoption of the Maine State Environmental Literacy Plan, we are poised to take a leadership role in creative, engaging STEM education. In addition, Maine has an amazing asset in the dozens of quality non-formal science education programs working with schools across the State. 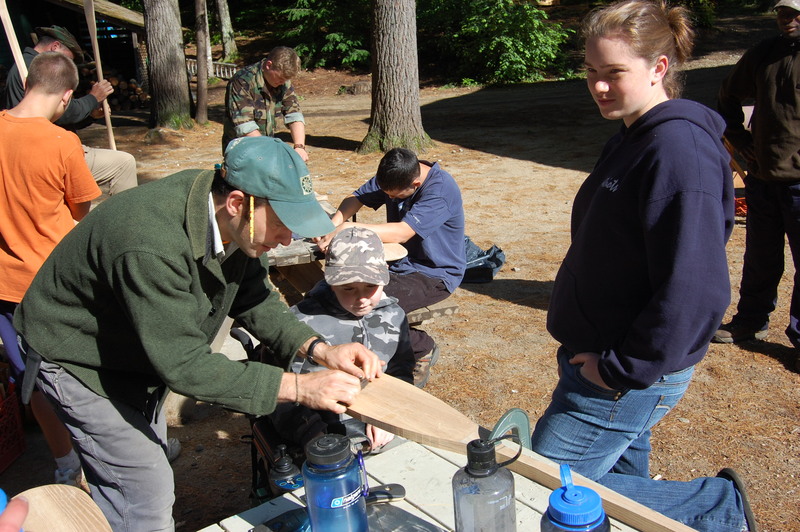 As current president of the Maine Environmental Education Association, I am privileged to work with organizations such as Friends of the Cobbossee Watershed, Project Learning Tree, Maine Audubon and many other providers of innovative non-formal science programming. At the University of Maine 4-H Center at Bryant Pond, we specialize igniting the “sense of wonder” about the world. 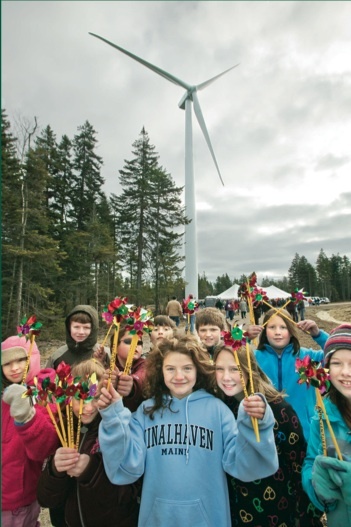 From our University of Maine 4-H Center, we are working with young people and their teachers and administrators to build the kind of enthusiasm for science and engineering — combined with civic engagement — that the Framework envisions. An example is our partnership with RSU 17 in nearby Oxford Hills. With the support of superintendent Rick Colpits and curriculum director Kathy Elkins, teachers across the district have been encouraged to think of Bryant Pond as the “Outdoor Classroom” for the district. The results are encouraging. 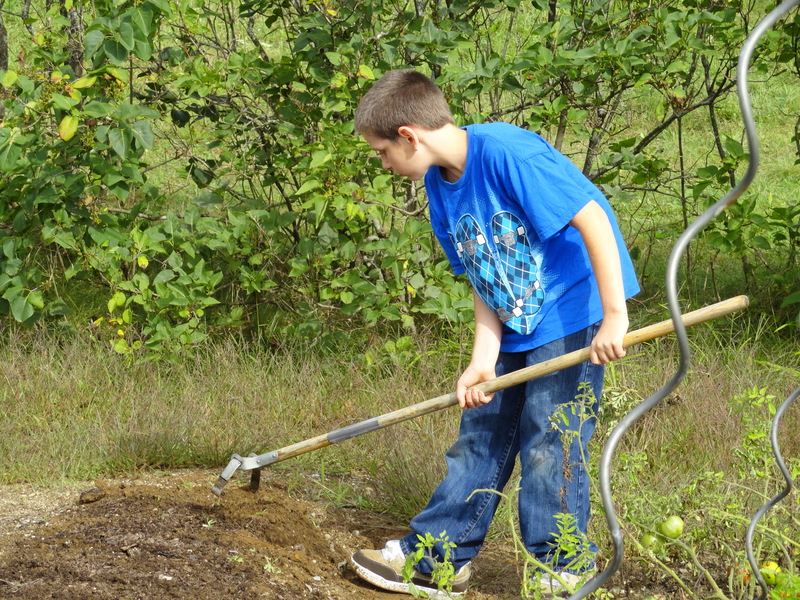 This school year, thirty-six underperforming Oxford Hills Middle School 7th and 8th graders participated in an experiential STEM- focused program where 20% of instructional time was conducted at Bryant Pond’s 4-H outdoor Learning Center. Attendance records compared to the ’10-’11 school year showed a net gain of over 500 hours of instruction time as a result of higher levels of engagement. The students made similar gains in academic achievement. The previous academic year, pass rates in science hovered around 58%. This year, using cross-disciplinary, experiential approaches that mirror the Framework’s focus on Science and Engineering Practices, and Crosscutting Concepts, 100% of students in this group are passing, not only science, but also Language Arts, Social Studies, and Mathematics.